“The State of Social Selling” is an excerpt from the white paper, “Social Selling in B2B Sales”. In this segment, we examine how widely social selling is being practiced today, and what sales organizations can do to get ahead of the curve. To view the paper in its entirety, download below. Social selling is part of the broader concept of social business, which IBM defines as “embedding social tools, media, and practices into the ongoing activities of the organization.” To date, the focus of social business has been in promotional activities, with the marketing and public relations departments leading the way for most companies. However, within the next two years that focus is projected to shift toward lead generation, revenue, and post-sale service. IBM’s Institute for Business Value reports that a majority of companies are already applying social business within their marketing and public relations functions, but because of their delayed start, sales and customer service are now expected to grow most rapidly in social business. In IBM’s estimate, 60% of companies will have adopted social business practices in their sales functions within the next two years. As they transition to social business, sales departments must choose the right technologies, but their initiatives will succeed or fail based on how well they are supported through policy and training. Unfortunately, in 2011, Altimeter Group reported an alarming lack of official social media policies within sales departments. Only 11% of companies had formalized customer-facing social media efforts for sales, compared to 82% for marketing. Although sales managers are now using social media at the individual level to an impressive degree, most of their organizations don’t have adequate social media training programs. In the spring of 2012, when the Sales Management Association (SMA) surveyed sales managers and sales operations leaders at 140 firms, they found that 96% of them use LinkedIn at least once a week and spend an average of six hours per week on the site. Roughly 80% of these leaders believe their sales force would be more productive with a greater social media presence, and more than half of them expect to increase their engagement with LinkedIn, Facebook and Twitter. For most sales organizations, however, management’s openness to social media hasn’t translated into strategic social selling. Roughly two-thirds of the firms surveyed by the SMA do not have a social media strategy for the sales organization, and only about one-third of respondents believe their firms are undertaking “significant” social media engagement. 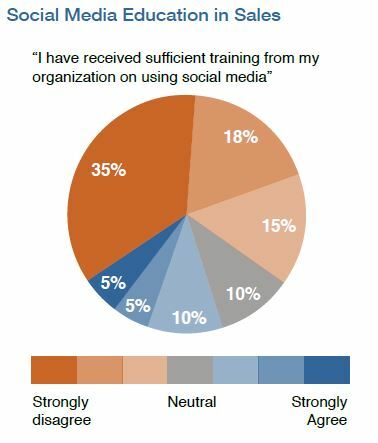 A majority of the SMA’s respondents think that their sales force lacks a solid understanding of social media, and few have had sufficient social media training (see graph). Furthermore, they believe that their own firms’ social media engagement lacks that of their important customers. In Part 6, we’ll look at the best practices that leading sales organizations are using to separate themselves from the pack. But you don’t have to wait. Download “Social Selling in B2B Sales” in its entirety right now. 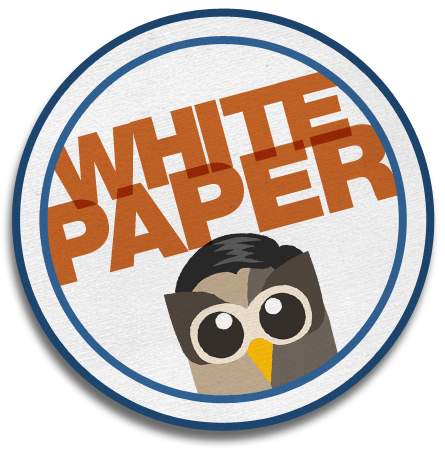 Learn more about HootSuite Enterprise or request a demo. Matt is an Enterprise Marketing Writer at Hootsuite. He writes research reports and features for the Hootsuite blog.